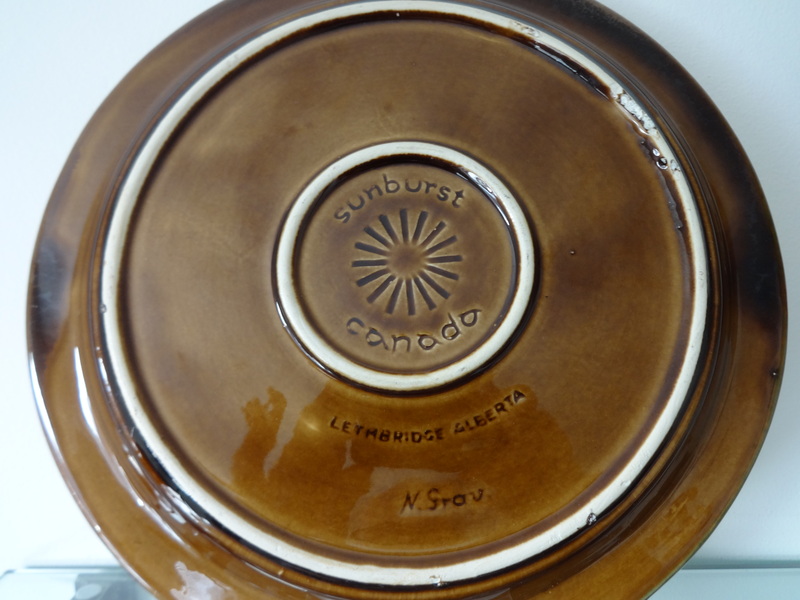 Sunburst Ceramics (1960-1975), while almost the last of the famous Alberta potteries, is much less known than its heavyweight predecessors Medalta and Medicine Hat. As part of Western Canada’s Mid-Century face, however, Sunburst engaged with local studio artist-designers the likes of Walter Dexter, John Porter and Olle Holmsten to enhance its would-be Modernist credentials. Designed by Albertan Neils Gravsen this dinner plate shows the complexity and challenge of that collaboration. 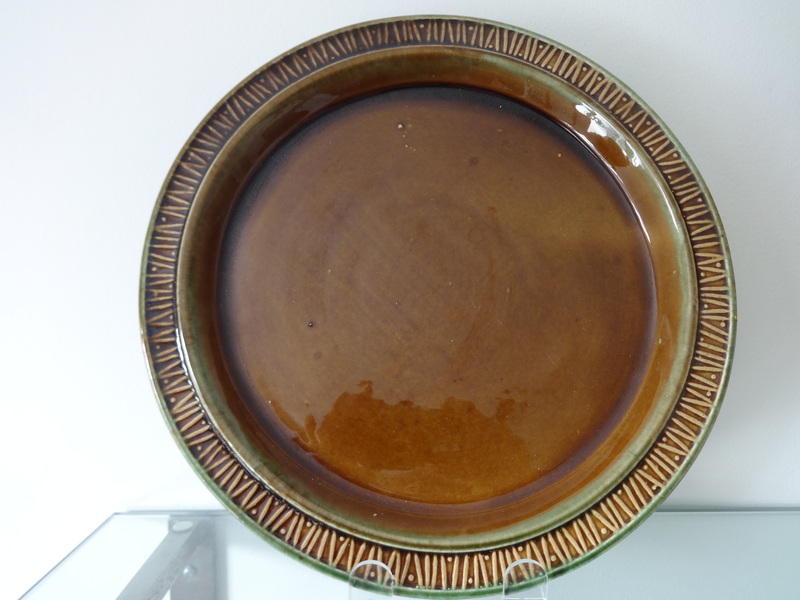 What should be a beautifully executed framed-lip design with stick-and-bead edging and light green glazing fading into brown, is badly marred by quality issues: clay surface particles, glaze pooling and inconsistent application. For Sunburst there appears to have been a fatal conflict between high volume production and quality control. That mismatch is likely reflected in the on-off as well as short relationships that Sunburst had with designers. Gravsen seems to have worked there in 1963 and later in 1972-73 when this plate was likely produced. For the moment there is very little documentation on Sunburst and its partnership with Mid-Century artists such as Gravsen. Any Information would be greatly appreciated.